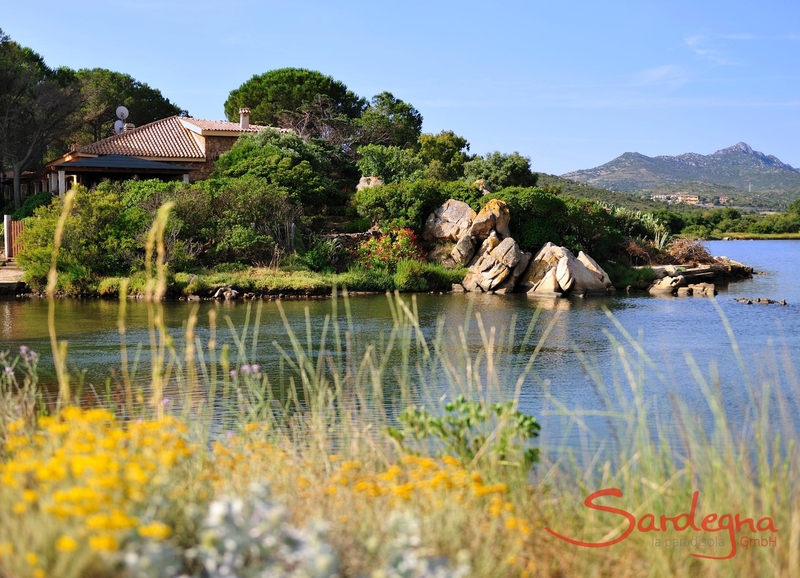 Villa Taverna is located in northern Sardinia, a 20-minute drive south of Olbia. 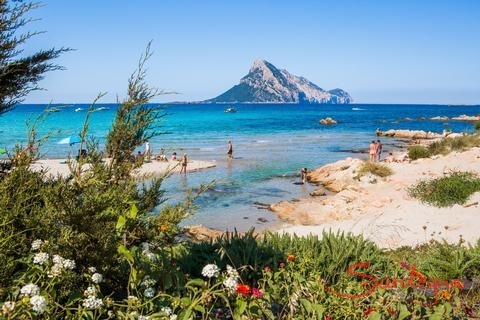 Just a few steps from the terrace over the lagoon and you are on a headland by the sea: white sand under your feet, crystal-clear water, and a view of the dominating island Tavolara in the distance. Pure relaxation! In this villa, you are spoiled for choice: who lives in apartment 1 and who in apartment 2? For the Villa Porto Taverna has two separate residential units on the ground floor, which can only be rented together. Each of these consists of a living room with a large dining table, a panoramic terrace, a kitchen (dishwasher only in apartment 1), a shower room with a washing machine, and two bedrooms (one with two single beds). But probably your favourite spot will be on one of the two terraces overlooking the sea. A brick outdoor grill, TV-Sat and air conditioning are of course also available. Villa Porto Taverna was completely renovated in 2018. A few meters from the villa, you will find a waterfront bar and a restaurant overlooking Tavolara Island for lunch or dinner al fresco. 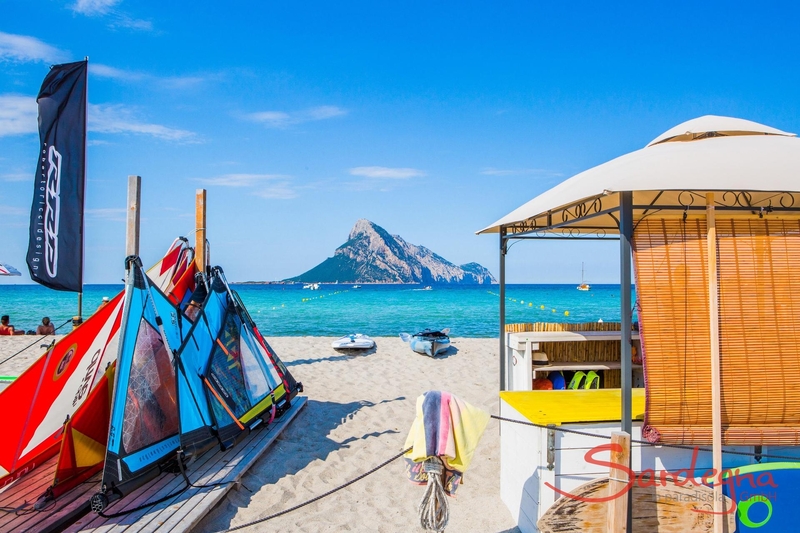 More restaurants and supermarkets can be found in the fishing village of Porto S. Paolo, just 4 km away, as well as in S. Teodoro, 10 km to the south. Only a few kilometres away, you will find the beaches of Capo Coda Cavallo, Cala Brandinchi, Lu Impostu, and the famous Cintastrand of S. Teodoro. To the north are the Costa Corallina beaches of Porto Istana, Capo Ceraso, Li Cuncheddi, and Le Saline. 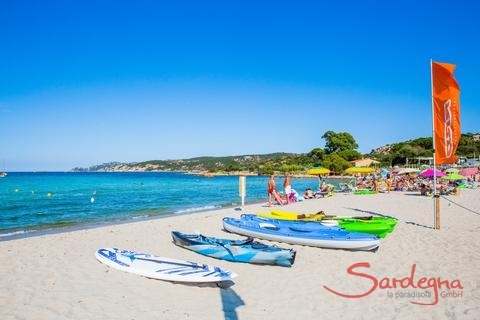 A wide range of leisure activities can be found on the beaches (dinghy and surf hire), but also stud farms. Bicycle or scooter hire completes the possibilities. The nearest golf course (18 holes) is about 10 km south in Puntaldia. The airport and port of Olbia are less than half an hour away by car. Just like paradise—a villa right on the beachVilla Taverna is located in northern Sardinia, a 20-minute drive south of Olbia. 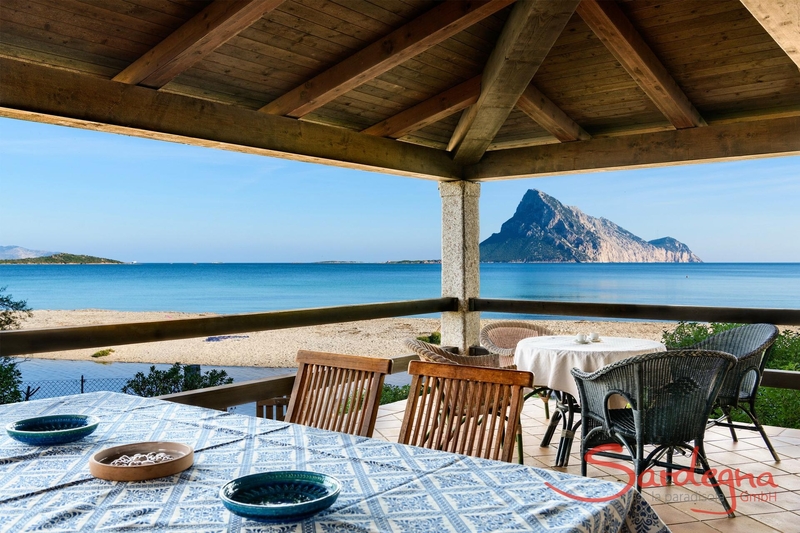 Just a few steps from the terrace over the lagoon and you are on a headland by the sea: white sand under your feet, crystal-clear water, and a view of the dominating island Tavolara in the distance. Pure relaxation!Terrace overlooking the Isola TavolaraIn this villa, you are spoiled for choice: who lives in apartment 1 and who in apartment 2? For the Villa Porto Taverna has two separate residential units on the ground floor, which can only be rented together. Each of these consists of a living room with a large dining table, a panoramic terrace, a kitchen (dishwasher only in apartment 1), a shower room with a washing machine, and two bedrooms (one with two single beds). But probably your favourite spot will be on one of the two terraces overlooking the sea. A brick outdoor grill, TV-Sat and air conditioning are of course also available. Villa Porto Taverna was completely renovated in 2018.In the immediate vicinityA few meters from the villa, you will find a waterfront bar and a restaurant overlooking Tavolara Island for lunch or dinner al fresco. 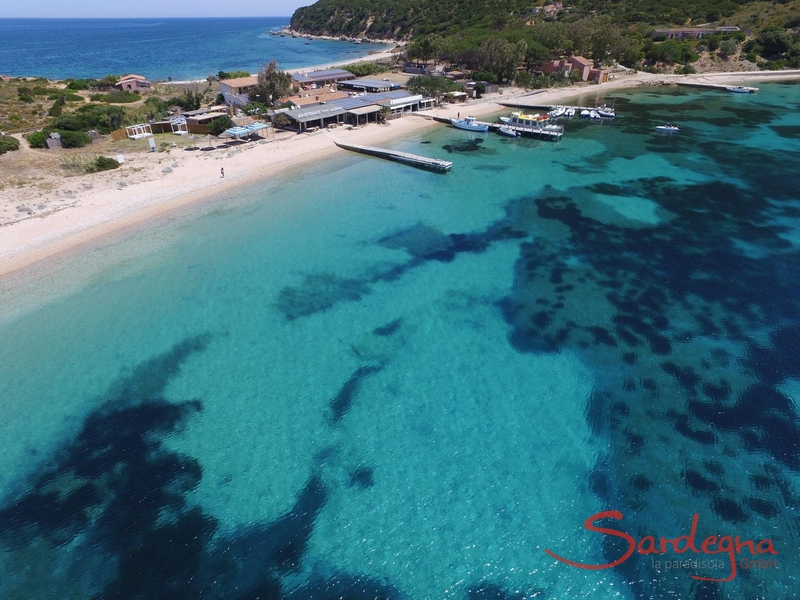 More restaurants and supermarkets can be found in the fishing village of Porto S. Paolo, just 4 km away, as well as in S. Teodoro, 10 km to the south.Only a few kilometres away, you will find the beaches of Capo Coda Cavallo, Cala Brandinchi, Lu Impostu, and the famous Cintastrand of S. Teodoro. To the north are the Costa Corallina beaches of Porto Istana, Capo Ceraso, Li Cuncheddi, and Le Saline. A wide range of leisure activities can be found on the beaches (dinghy and surf hire), but also stud farms. Bicycle or scooter hire completes the possibilities. The nearest golf course (18 holes) is about 10 km south in Puntaldia. 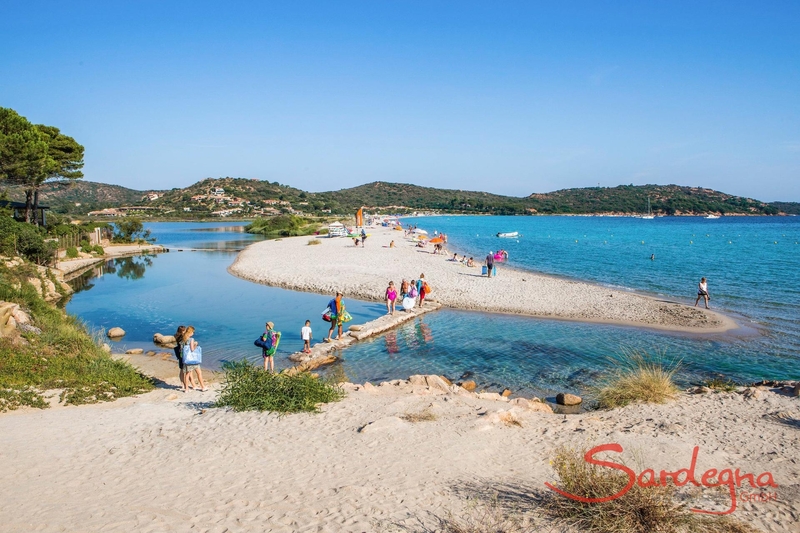 The airport and port of Olbia are less than half an hour away by car.